CBDPure is a cannabidiol ("CBD") oil derived from certified organic-standards industrial hemp grown in Colorado, without the use of harmful pesticides and herbicides. The industrial hemp we use has been chosen for its high CBD content and is grown with great care in order to produce a high quality product you can count on, that is tested and certified by third-party lab for every batch. If you don't know already, CBD is the "wonder molecule" occurring naturally in the hemp plant that is responsible for the positive effects on body and mind when consumed. It is one of the most concentrated cannabinoids found in the cannabis plant, though it gets much less attention then its well-known psychoactive cousin, THC (tetrahydrocannabinol). When used as a supplement, CBD provides benefits to both body and mind, but without the mind or behavior-altering properties of THC. CBD provides all of the health benefits, with none of the "high". CBDPure is 100% legal and safe to consume. It does not have the psychoactive properties commonly found in recreational cannabis - meaning it does not provide a "high" or intoxicated feeling to users. CBDPure CBD oil contains naturally occurring cannabidiol, terpenes and other cannabinoids to promote overall well-being, in a minimally processed form that preserves what nature intended. 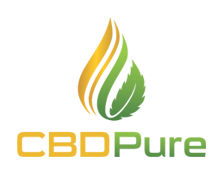 The cannabinoid content of all CBDPure products complies with the federal law of the United States. 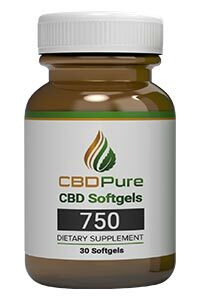 CBDPure follows strict cGMP manufacturing guidelines as well as stringent quality control protocols necessary to provide the highest quality CBD product available on the market. From soil to oil, we control and test every link in the chain to make sure every drop of CBDPure is the best, most natural source of CBD available to our customers. The certified lab tests and reports for each lot number and batch are available upon request. You deserve the best for your health and CBDPure ensures our product meets the purity standards and quality our customers demand.